Throughout his childhood, music played a significant role in the life of Canadian-born and Philadelphia raised Cantor David Propis. At the young age of five, he was the featured soloist in the High Holiday choir of his late father, the distinguished and internationally known Cantor Dov Propis. 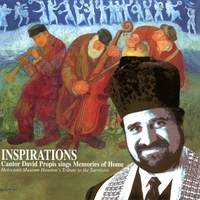 Cantor David Propis’ love of Jewish and Chassidic music has familial origins. His father’s influence, as well as that of his cousin, Aaron Propis, who founded the Zimriyah (the original Jewish Choral Festival in Israel, later to become the Internationally acclaimed Chassidic Song Festival), have left an indelible mark on him. Cantor Propis was trained in the traditional Cantorial style (Hazzanut) by his father and internationally renowned Cantor Chayim Eliezer Hershtik of Israel. He also studied voice with Opera Diva Elena Nikolaidi and Dr. Steven Smith of the Houston Grand Opera. Cantor Propis is an active member of the Cantors Assembly, Inc., the largest and most prestigious governing body of Hazzanut in the world. He has held several officer positions including Vice President, Secretary and Treasurer on the International Board. He is a charter board member of the Holocaust Museum Houston, an Education Center and Memorial Museum to the Holocaust. He has received numerous awards for his fund-raising efforts and entertainment for organizations such as Israel Bonds, Hadassah, ORT, B’nai Brith, JNF. Cantor Propis has performed with numerous entertainers including comedians Yaakov Smirnoff and Jackie Mason. He has sung in prestigious concert halls ranging from the Mann Auditorium in Tel Aviv to Carnegie Hall. In 1993, Cantor Propis performed in concert and led Sabbath services in Vilnius, Lithuania as part of the 50th anniversary of the liquidation of the Kovno and Vilna Ghettos. In 1995, Cantor Propis conceived and co-starred in sold-out performances of “The Three Cantors™ ,” a cantorial symphonic concert event with his good friends Cantors Meir Finkelstein and Alberto Mizrahi. Co-produced by Cantor Propis and Richard Brown, for the past 8 years, they, along with new member Cantor David Katz, have performed with numerous world-class symphony orchestras around the United States including the Houston, Atlanta and Pacific Symphony Orchestras. Their guest conductors have included Marvin Hamlisch, Yoel Levy, Carl St. Clair and Mati Lazar. 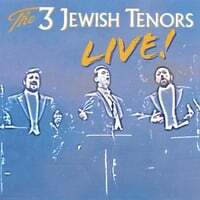 The much anticipated “The 3 Jewish Tenors – Live!” CD, which Propis produced, was released in April 2003. Cantor Propis was recently recognized by CNN as one of the year’s best for his powerful renditions of the “Star Spangled Banner” at numerous national sporting events. His stirring rendition of the memorial prayer for Israeli Space Shuttle Astronaut Col. Ilan Ramon was broadcast on every major television channel in the country. He has also been invited by fellow Texans President George Bush and Fred Zeidman, chairman of the National Holocaust Museum, to chant the memorial prayer at the Rotunda in Washington D.C. for the National Day of Remembrance. His international concert appearances continue to thrill audiences around the globe. 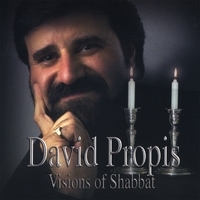 Cantor Propis recently released his latest recording, “Visions Of Shabbat” - more traditional prayers in contemporary settings composed by Meir Finkelstein. He is joined by his beautiful and talented daughter Dena, composer Finkelstein, and Cantor Alisa Pomerantz-Boro. 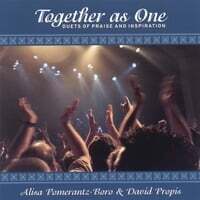 Other popular recordings include: “Thank God It’s Shabbat” with Allan Naplan, a new, vibrant Friday Night Alive Service that many congregations across the country are emulating today; “Inspirations – Memories of Home” for the Holocaust Museum Houston’s Tribute to the Survivors, as well as “Visions in Prayer,” Traditional Prayers in Contemporary Settings, also composed and arranged by Meir Finkelstein. 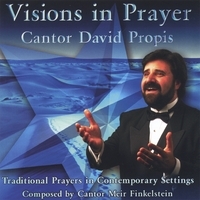 Cantor Propis is the producer of a series of CDs for the United Synagogue of Conservative Judaism and the Cantors Assembly entitled “The Spirit Series.” 2001-2002 produced volume 1 - “The Spirit of Shabbat.” 2002-2003 produced volume 2 - “The Spirit of Israel,”with a special tribute to Israeli Astronaut Col. Ilan Ramon, and 2003-2004 will introduce volume 3 - “The Spirit of the High Holidays,” due out the spring of 2004. He is the Cantor of Congregation Shaarey Zedek in Southfield, MI. The 3 Jewish Tenors – Live!